I want to thank the Cimarron Starlite Cruisers Car Club for their continued efforts to support our school district. The annual car show has many positive effects on the school and community. The relationship between the car club and the school has a common theme. We all want our students/children to succeed in whatever path they choose. 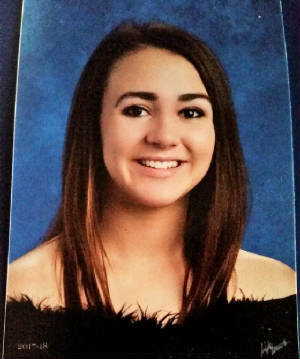 The proceeds from the car show provide two scholarships in memory of Ditz McIlvain. The car club has also offered the senior class parents the opportunity to raise money at the car show by providing concessions. This activity brings people together at the high school site and gives them the chance to see many showroom quality cars and to see the quality facility that Perkins-Tryon has for its students. I hope we continue this activity for many years; it has a quality that brings good people together that share an enthusiasm for cars and wants to share that spirit with the school and community. Recipients of the Ditz McIlvain Scholarship Award should bring proof of enrollment to the Perkins Tryon Superintendent's Office in order to process their scholarship award. "Ditz McIlvain 2018 Scholarship Recipients"
announce Erin Beam as one of the Ditz McIlvain Scholarship Recipients for 2018. Erin is the daughter of Jacke and Jeannette Lightfoot. While attending Perkins-Tryon High School Erin has been active in her Church, Showing and Judging Livestock, Senior Class Treasurer and Rodeo. Erin will be attending the University of Central Oklahoma in the field of Nursing in order to pursue a career in helping people. The Cimarron Starlite Cruisers Car Club is proud to announce Landon Mages as one of the Ditz McIlvain Scholarship Recipients for 2018. He is the son of Devin and Kristy Mages. 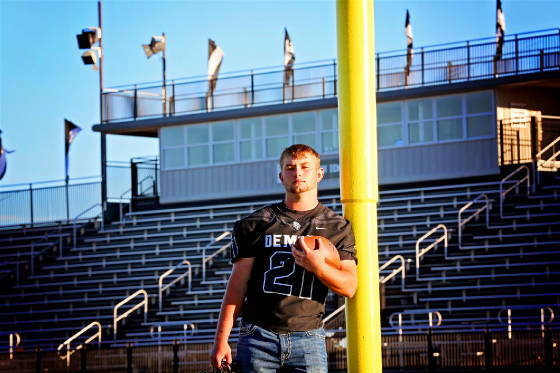 While attending Perkins-Tryon High School Landon has been active in Future Farmers of America, International Club, Fellowship of Christian Athletes, St. Francis Youth Group, Football, and Baseball. Landon will be attending Benedictine College to study Criminology and play football. Landon has a goal of a position with the Secret Service, ATF, DEA or the US Marshal’s Office. 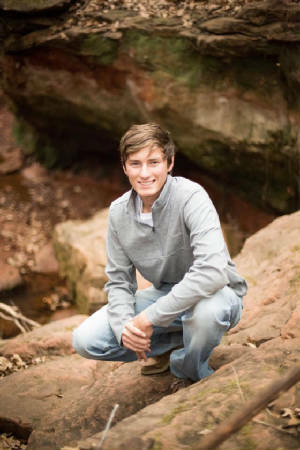 announce Boone Westfall as one of the Ditz McIlvain Scholarship Recipients for 2018. Boone is the son of David and Sheri Westfall. While attending Perkins-Tryon High School Boone has been active in Future Farmers of America, International Club and serving as a volunteer firefighter. Boone will be attending Emergency Medical Technicians certification at Meridian Technology Center and then the EOC Fire Training Academy to achieve his goal as a Professional Firefighter. Ditz lived in the Perkins area for more than 40 years. His entire life was dedicated to his family, the community and it's youth. Before his untimely death he started a fund, which would generate interest to provide college scholarships for students of the PerkinsTryon Public School. The proceeds from the Perkins Car Show are added to this scholarship fund. It is the purpose of the Cimarron Starlite Cruisers' Car Club to help carry on this great tradition which "Coach Mac" began. Oh! by the way, Coach Mac's first new car was a "55 Crown Vic" about which he always said, "Why did I sell that Ford? It would really run!" 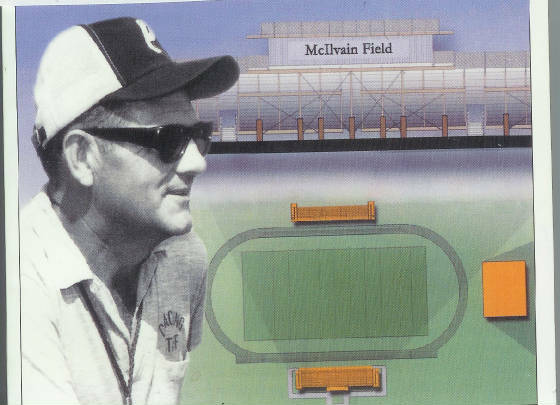 The PerkinsTryon community built and named the new football and track complex in honor of Coach Mac. The PerkinsTryon Public School District and it's Board of Education provide their great facilities at the High School campus to assist the Cimarron Starlite Cruisers Car Club with a wonderful site for the Perkins Car Show each year. Ditz taught US History, World History, Oklahoma History, and Driver's Education. He was the Athletics Director and High School Principal while serving the PerkinsTryon School System. Ditz coached football from 1957 to 1981 in the PerkinsTryon School System winning 14 district championships during that time. Ditz coached State Champions in the Pole Vault, High Jump, 880 and the Mile while coaching Track and Field at PerkinsTryon. He then coached from 1981 to 1986 at Langston University. While working at Langston, Ditz taught in the Department of Health, Physical Education, Recreation and worked in the Registrars' Office until 2004. Ditz traveled to a large number of area Public Schools and delivered Langston University Class Schedules each semester to assist with the recruitment of area students to attend Langston University. The proceeds from the Perkins Car Show go to the “Ditz McIlvain Scholarship Fund”. The classic vehicle owners of Oklahoma and sponsors of the Perkins Car Show have raised over $78,000 the past thirteen years for this fund.